Panasonic's newest Micro Four Thirds cam is a mostly-incremental boost over its predecessor, the G2. But improved specs on an already solid base is good news. 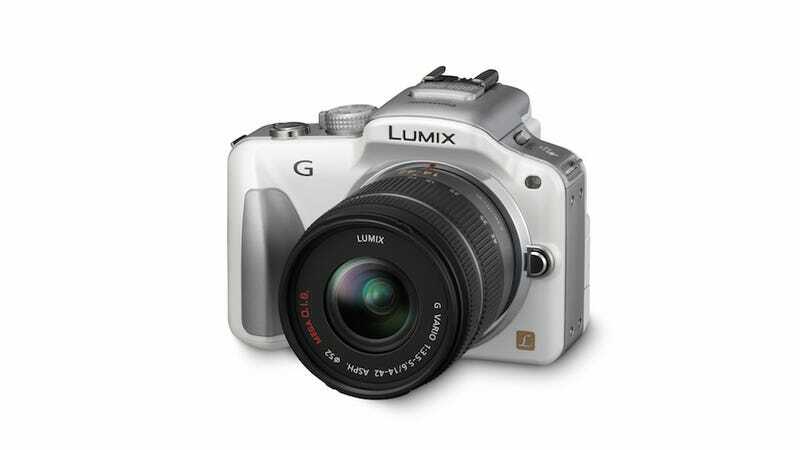 The G3 brings a new sensor, faster shots, less noise, and a touch-heavy interface. We'll get to that interface—but everything else is a numbers game. The G3 hops up to 16 MP from 12, doubles its autofocus speed, and boosts its continuous shooting mode to 4 FPS at 16 MP or 20 FPS at a fuzzier 4 MP. Noise reduction is also pumped up at higher ISOs, with particularly good color reproduction at these settings. But improved specs aside, Panasonic's pressing heavily on the G3's LCD. Touch focusing, a la iPhone, is now possible with the entire 3-inch screen, making it much easier to pinpoint a spot of interest—even available on the individual pixel level, which should be great for macro shooting. The LCD viewfinder also sports a neat manual focus assist mode, wherein a second window pops up with a view of the full scene, helping you remember where you are when zoomed in deep. And, in a considerate (and intuitive) move, adjusting the nitty gritty of your shot—ISO, white balance, etc—are easily adjustable via simple touch sliders, as opposed to having to click through them with a d-pad on comparable models.